Dr. Pietropaoli is a 1994 graduate of the SUNY Health Science Center at Syracuse School of Medicine. He completed his undergraduate training in 3 years from Syracuse University in 1990 with a B.S. degree in Biology. He earned the Biology Department Academic Award while at Syracuse University. 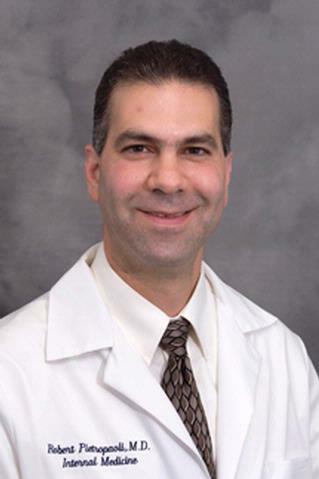 He completed his residency training at the University of Rochester Primary Care Program in Internal Medicine in 1997 and currently serves as a Senior Instructor of Clinical Medicine at The University of Rochester School of Medicine. He is board certified in Internal Medicine and is a member of The Monroe County Medical Society, American College of Physicians, and The American Medical Association. Dr. Pietropaoli's professional interests include preventative medicine and medical education.